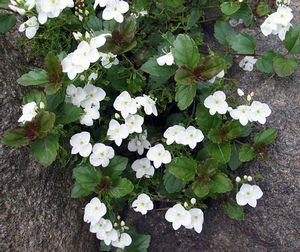 Tolerant of light foot traffic but too adorable to step on when the small pure white flowers cover the glossy green foliage from early spring to mid-summer. 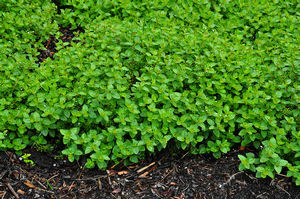 Perfect for rock gardens or planted around flagstones, the 4-6" tall creeping foliage has scalloped leaves that turn burgundy to bronze in the fall. Prefers well-drained soil with average moisture. PPAF. Plant 12" apart.